GAINESVILLE, Fla. – It’s Friday’s top dual meet – No. 3 Florida gymnastics at No. 5 Louisiana State. Action begins at 9 p.m. ET at the Pete Maravich Assembly Center<https://urldefense.proofpoint.com/v2/url?u=http-3A__www.lsusports.net_ViewArticle.dbml-3FDB-5FOEM-5FID-3D5200-26ATCLID-3D177173&d=DwIFAg&c=pZJPUDQ3SB9JplYbifm4nt2lEVG5pWx2KikqINpWlZM&r=6MG06PG_fwpe7ULfewi6NrFR2j_4ngNZtgGHhDCeRY0&m=B_VPdHxyRvUG8CfvcClmgzW-Snf_DSLv8SrSZ6NKuwE&s=7fAl6MJPNG9QYEKvt8vI8EkkfGWKsWzHXygQBH4KJ3M&e=>. This is the 21st consecutive meeting both teams bring top-10 rankings. Meetings between these two teams are traditionally close. Of the last 20 meetings, less than a half a point was the deciding margin 17 times. 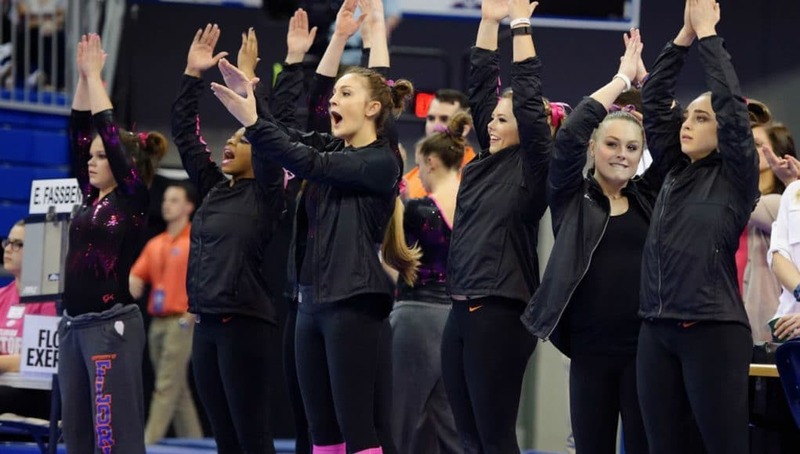 The Florida-LSU dual ends the first-ever SEC Network Friday Night Heights triple-header. Olympic medalists Bart Conner and Kathy Johnson Clarke call the action. On the go Friday? Follow the action on WatchESPN<https://urldefense.proofpoint.com/v2/url?u=http-3A__www.espn.com_watch_-5F_id_3457311_florida-2Dvs-2Dlsu&d=DwIFAg&c=pZJPUDQ3SB9JplYbifm4nt2lEVG5pWx2KikqINpWlZM&r=6MG06PG_fwpe7ULfewi6NrFR2j_4ngNZtgGHhDCeRY0&m=B_VPdHxyRvUG8CfvcClmgzW-Snf_DSLv8SrSZ6NKuwE&s=5yCZrvP-GwVQjGAnkOv8sTJiLLJbez_ZseoHQjw27sU&e=>. Florida used its highest opening total (and the nation’s second-highest 2019 opening score) to take a 197.30-196.45 win over No. 11 Missouri. 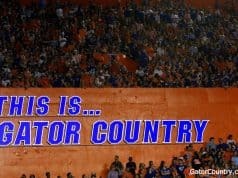 The crowd of 8,664 was Florida’s second-largest opening crowd. A Gator collected at least a share of every event title, including senior All-American Alicia Boren matching her all-time Gator season-opening all-around total (39.575) for the second consecutive year to win the 12th title of her career. She also shared three event titles. Freshman Nya Reed and Boren tied for the floor title (9.925). Boren and junior All-American Rachel Gowey each turned in the high beam mark of 9.90. Boren and Missouri’s Hannah McCrary shared the vault win (9.875). The high score of the evening gave freshman Trinity Thomas the uneven bars win at 9.95. 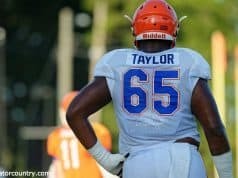 Three others from Florida’s top-ranked freshman class<https://urldefense.proofpoint.com/v2/url?u=https-3A__floridagators.com_news_2019_1_2_gymnastics-2Dno-2D1-2Dfreshmen-2Dclass-2Dbelong-2Dto-2Dgators.aspx-3Fpath-3Dgymnastics&d=DwIFAg&c=pZJPUDQ3SB9JplYbifm4nt2lEVG5pWx2KikqINpWlZM&r=6MG06PG_fwpe7ULfewi6NrFR2j_4ngNZtgGHhDCeRY0&m=B_VPdHxyRvUG8CfvcClmgzW-Snf_DSLv8SrSZ6NKuwE&s=b9NruTgMuHN8yWWwLljaFOWEZjeihrfKGRTtPrujYPM&e=> also competed Friday. Leah Clapper, Sydney Johnson-Scharpf and Savannah Schoenherr each turned in some solid routines in their collegiate debuts. 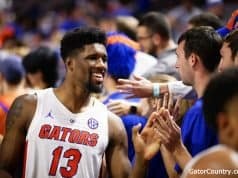 After their season opening performances, a pair of Gators claimed SEC weekly awards<https://urldefense.proofpoint.com/v2/url?u=https-3A__floridagators.com_news_2019_1_15_gymnastics-2Dalicia-2Dboren-2Dtrinity-2Dthomas-2Dclaim-2Dsec-2Dweekly-2Dhonors.aspx-3Fpath-3Dgymnastics&d=DwIFAg&c=pZJPUDQ3SB9JplYbifm4nt2lEVG5pWx2KikqINpWlZM&r=6MG06PG_fwpe7ULfewi6NrFR2j_4ngNZtgGHhDCeRY0&m=B_VPdHxyRvUG8CfvcClmgzW-Snf_DSLv8SrSZ6NKuwE&s=ng2GCdUy2oc_bvn08NRZFJRd2td2v0BFH_0QKb0fANQ&e=>. Boren claimed her third SEC Gymnast of the Week award (and first since 2017) and Thomas is the co-SEC Freshman of the Week. Two-time defending SEC champion LSU is coming off its first regular-season league loss since Feb. 13, 2016 (at Georgia 197.524-196.80) as the Tigers lost 197.275-196.70 to open SEC action last Friday at Auburn. It’s been nearly six years since the Pete Maravich Assembly Center saw a Tiger loss (Jan. 19, 2013: 197.725-197.50 loss to No. 5 Alabama). LSU opened the season with a 196.775-195.65 win over California in front of a PMAC crowd of 10,788. LSU’s 2018 attendance average of 12,009 stood third among all 2017-18 NCAA women’s sports. Two on the LSU roster claimed 2017 NCAA individual event titles – Kennedi Edney (vault) and Sarah Finnegan (bars). Florida – Florida is No. 3 in the second Road to Nationals standings<https://urldefense.proofpoint.com/v2/url?u=https-3A__roadtonationals.com_results_standings_season_2019_2_0_5&d=DwIFAg&c=pZJPUDQ3SB9JplYbifm4nt2lEVG5pWx2KikqINpWlZM&r=6MG06PG_fwpe7ULfewi6NrFR2j_4ngNZtgGHhDCeRY0&m=B_VPdHxyRvUG8CfvcClmgzW-Snf_DSLv8SrSZ6NKuwE&s=sBbUnBtbHeKQamPwJDAt1EPG-sBm7aAxBNj-BygIJwE&e=>. LSU – The Tigers are No. 5 in the Road to Nationals standings<https://urldefense.proofpoint.com/v2/url?u=https-3A__roadtonationals.com_results_standings_season_2019_2_0_5&d=DwIFAg&c=pZJPUDQ3SB9JplYbifm4nt2lEVG5pWx2KikqINpWlZM&r=6MG06PG_fwpe7ULfewi6NrFR2j_4ngNZtgGHhDCeRY0&m=B_VPdHxyRvUG8CfvcClmgzW-Snf_DSLv8SrSZ6NKuwE&s=sBbUnBtbHeKQamPwJDAt1EPG-sBm7aAxBNj-BygIJwE&e=>.